Casa Lola is composed by two buildings; one of them is the typical colonial house of the XVII century, and the other is a marvelous republican construction of the XIX century. Both have been completely restored and conditioned to give great comfort and excellent service. Casa Lola is located in the historic center of Cartagena de Indias, in a very known neighborhood called Getsemani. The main charm of the house is the respect for the original architecture and the eclectic decoration based on a fine mixture of antiques, artisanal and modern elements, which reflects in every guest room. 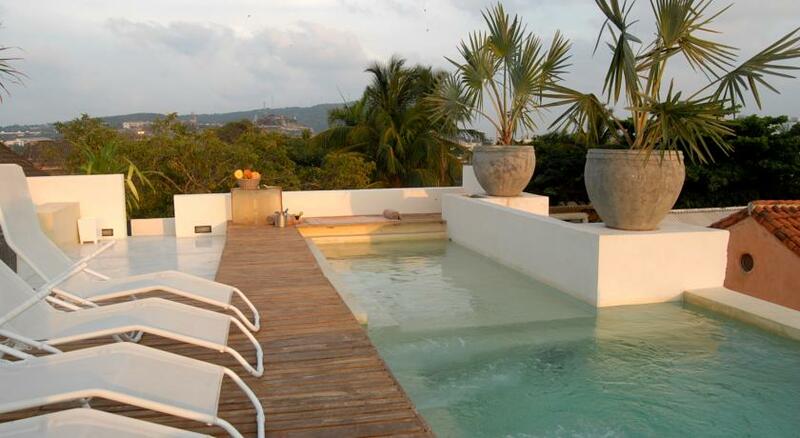 This property is rated for the best value in Cartagena de Indias. Guests are getting more for their money when compared to other properties in this city. The following discounted rates have been negotiated with Hotel Casa Lola for our guests. Below you will find the rates per night according to different types of rooms. This only applies to Junior Suite, Suite and Master Suite room types. Kindly book by December 31st, 2016 to secure these rates. To reserve please send your inquiry via email to Maria Claudia Jimenez at reservas@casalola.com.co and reference "Matt & Ximena Wedding" in the subject. These special rates are non-refundable, so please keep that in mind. The hotel will pre-charge 50% of the total amount to guarantee reservation. The remaining 50% can be paid at the hotel during check-in.